Mark Brady is currently a strength and conditioning coach and data-scientist with the Italian national team, and his journey here has taken him around the world. When we hear the words ‘interview’ and ‘rugby’ in the same sentence, we automatically think of players, past and present, who we would love to read about to gain an insight into their lives. But we often never think of the men and women in the background who make these players who they are, or those who equip players with the tools to do what they do, week in, week out. Mark Brady is one such story. He is currently a strength and conditioning (S&C) coach and data scientist of the Italian national rugby team. Born and raised in south Dublin, Brady has worked with a wide array of teams, be they amateur, school-level, or professional, and has coached some of the best athletes in the world. His story begins in UCD in south Dublin, and takes him from Thurles to Uruguay, and from Blackrock to Italy. Growing up in a very GAA-centred household, Brady’s father had been working with Dublin GAA since his son was born. Growing up, Brady’s young sporting life held very little room for rugby. He would have kept an eye on the international team like most people but he didn’t step foot onto a rugby pitch in a playing capacity until he was in college. While GAA is certainly making large strides in the area of strength and conditioning nowadays, from early days in his studies Brady felt rugby would be the direction he would have to go in if he wanted to work in an environment where players would have to be physically prepared to the highest level to compete. But that wasn’t his first choice. “Even during Leaving Cert year and years prior, I always had a career in sports in the back of my mind but none of the sports management degrees I read about really appealed to me. I suppose I also felt that it would be nigh on impossible to get a job in the profession. In the end, I bowed to the pressure to get a degree and put Computer Programming on the CAO. While Brady was nervous about the move, he soon took to it like a duck to water; an experience that would continue throughout the rest of his story. He volunteered with the Tipperary football and hurling teams for work experience during his time in college, and worked with the Aidan Mc Anespies football team in Boston, USA, during a summer. “Although my time spent with Tipperary GAA was by no-means hands on, I certainly look back and can say I took a lot from that time. I worked with some very good coaches, namely Michael Mc Geehan with the Tipperary football team, who gave me an appreciation of what good coaching looks like. Prior to that, with respect to my underage coaches, I had never seen true purpose in training sessions in regards working towards a specific game plan, or at least not in an effective manner. “Michael’s drill-choice and coaching challenged players in game-specific scenarios, offering players one chance to execute effectively, and you could see how it transferred to the field. This time along with my time in Boston certainly influenced my approach to rugby training. Traditionally, when county players make their way to foreign fields for a bit of footy and a paycheque, they don’t expect to do much training. However, that year’s Mac Anespie’s team were sadly mistaken. After his experience in Boston, Brady coached the Irish Paralympic powerlifting team for three years and travelled internationally with them. Brady described it as a monumentally different experience, but one which fast-tracked his understanding of athletes in a different way. “Paralympic powerlifting was the first sport I worked in where you live and die by a moment, by a number. While in GAA or rugby, your main goal is to get these guys better at their sports and you use the S&C to support this. But strength is where it starts and ends in powerlifting. “Working with people already so close to their genetic potential, you must control every controllable: nutrition, sleep, or training time, along with writing a suitable programme without the physical options that you or I possess. All of this may be done just to get an extra kilo on the bar. This can be mentally very stressful on an athlete as there may be long periods where they plateau and never improve. If you think it was all coaching and travelling for Brady from here on in, you’d be mistaken. Brady then became the Student Union President of LIT Tipperary and coached the Limerick Institute of Technology football team, all while continuing his work with the Paralympic team. But while coaching and travelling with the Irish Paralympic powerlifting team was rewarding, life goes on. Brady’s next move brought him somewhere many people will probably never visit in their lifetime, let alone carve out a profession. Brady moved over 10,600 miles away to Uruguay to begin coaching the national rugby team, the national handball team, and a female Sevens club. The remarkable part? He did it all through Spanish. 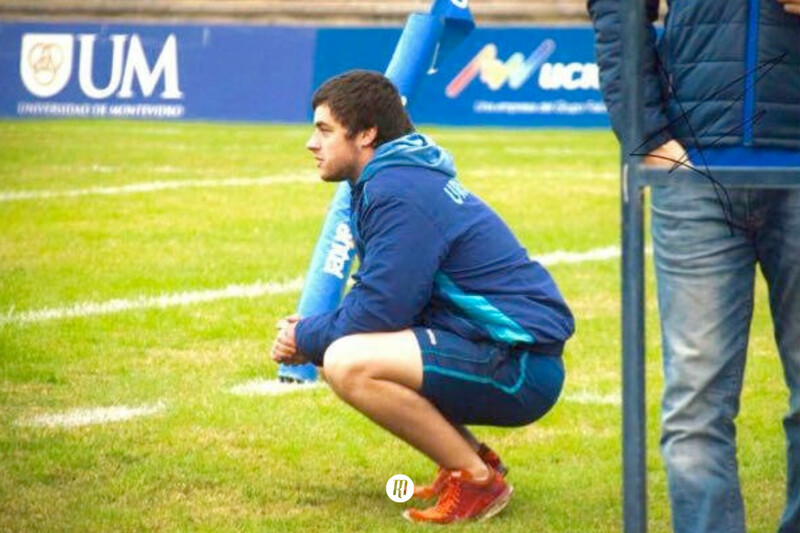 Setanta College were contacted by Uruguay Rugby Union about a potential internship role, and Brady knew after the year as LIT coach that he was keen to work in rugby full time. He pursued this role himself by contacting the Uruguay Rugby Union directly and telling them he was their man. “Initially it [his new coaching role] was supposed to be with every rugby team in the union, but when some coaches in Uruguay Rugby asked me get involved with the handball girls and the Sevens girls I was excited by the new challenges. Coaching in Spanish was a massive challenge, especially as Brady never spoke a word of Spanish in his life. A lot of the players spoke reasonable English, although according to Brady, they really struggled with the Irish accent. He didn’t take Spanish lessons when he was there, but most days he would be required to speak Spanish as much, if not more, than he spoke English. There were a number of highlights from his time there, the first being winning the Nations Cup, the first major tournament Uruguay had ever won. A historic moment. 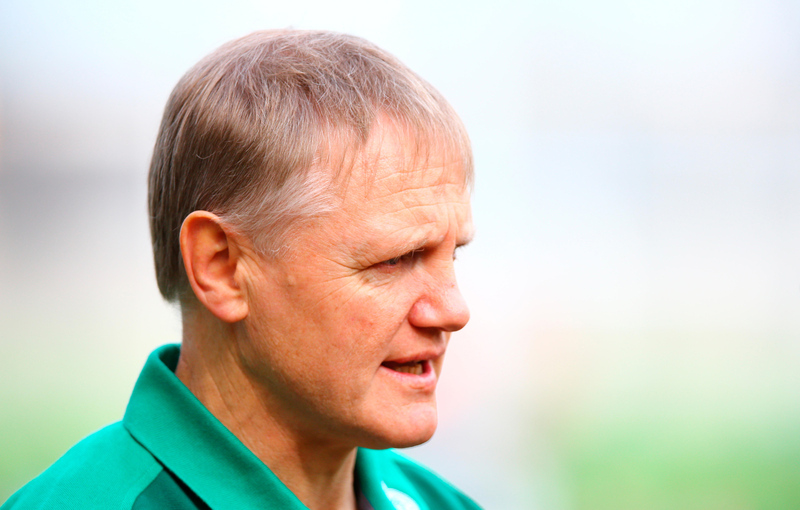 He particularly enjoyed his work with the Mens’ Sevens team where he was given a lot of responsibility. “Travelling with them and being involved with them in tournaments, it is certainly a different challenge to prepare these guys than those for the fifteens game. I relished it and I hope in the future to get involved in Sevens again. “Several players stood out for me. A couple of the overseas professional guys showed what was possible with a professional mindset. What was really inspiring was the level of rugby 95% of the Uruguayan players competed at, week-in week-out. “The Uruguayan league, with respect, was of a very poor standard, and how the boys stepped up to compete internationally and the fact they are now 17th in the world is a testament to their heart and fortitude on the field. Another chapter in Brady’s story then begins. His time in Uruguay finished, and he packed his bags and moved back across the Atlantic to his native Dublin to coach in Blackrock College, a school situated in the south of the county. There, he continued his role as an S&C coach and began working on furthering student’s physical abilities as opposed to international rugby players. It was a move that Brady was very glad he made. “Working with Daniel Moore in Blackrock was pretty monumental for me in my development as a coach. A lot of what I researched in Uruguay in my spare time about speed and power training, Daniel was putting practice. Guys weren’t lifting weights without direction or purpose. Everything in their programme had its place. “Dan was not only making these guys stronger and more powerful, but teaching them how to apply it on the field where it matters. So many coaches spend so much time developing their player’s strength, but it seldom reflects on the field. Dan was working on bridging that gap. “Coaching the boys from Blackrock was a very enjoyable experience. The coaching staff Blackrock boasts, from the younger kids up to the seniors, is second to none. These guys were being challenged both as rugby players and as men and it was great to see some of them grow throughout my short time there. “As for the coaching itself, myself and Dan weren’t afraid to experiment with exercises and drills, whether it be evasion, decision making, or specific speed exercises in the gym in an effort to get boys better at what mattered. Dominant collisions, effective carries, and evasion; these are all hugely important in rugby. “The boys were really open to experimenting and learning with us which led to a really positive and purposeful coach-player relationship. Everyone took ownership of this process. In reality, we facilitated a lot of this process with the players creating the drills and even coaching them. The level of player at Blackrock really surprised me. The senior team were as physically developed as a senior inter-county team, but at 16 or 17 years of age. But just as quick as Brady got home, life again intervened and began to pull him in another direction. And thus his Italian story began. Fast-forward 6 months, and Brady is an S&C coach and data scientist to the Italian national rugby team. A bit of a jump to say the least. So how did this come about? “I’ll digress a little to give you some background on the Italian rugby project. Conor O’Shea took over as Head Coach of Italy Rugby in 2016. He brought with him Mike Catt and, 18 months ago, installed Pete Atkinson as Head of Athletic Performance. Pete previously worked with Leicester Tigers in their successful period in the early ‘00s and more recently again, English cricket. Pete first set out to transform the Italian franchises’ return to play and injury management system. “He had a massive impact on this in his first year, which resulted in injury lists being cut from up to 20 players to a number you could count with one hand. This alone has afforded the clubs the opportunity to keep their best players on the field. 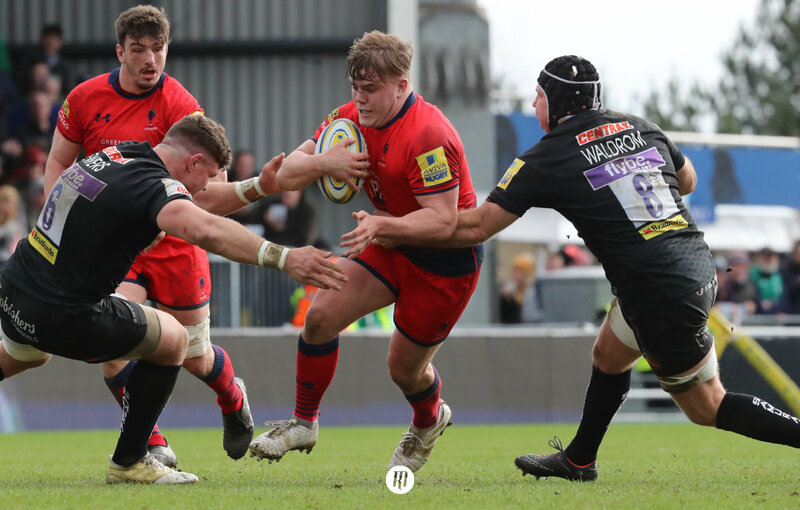 “In stage two of the process, Pete wanted to bring the data analysis systems in Italian rugby forward to educate training in order to be more effective come game-day. If the player is not exposed to what the game demands during the training week, he will underperform on game day, and this data allows you to bridge that gap. “If Italy wanted to close the gap between themselves and the strongest national and provincial teams, they needed to create a GPS system and progress their fitness testing systems. Speaking with both Pete and Conor about the project, I was excited about being part of the transformation of Italian rugby. “After working in Uruguay, where I didn’t see anybody I knew for twelve months, a two-hour direct flight to Treviso certainly wasn’t as daunting. The challenge was not going to be the new language or new location, but developing a new skillset in such a high level environment. Coming from a very hands-on background prior to the move, a large percentage of my work was now based on developing systems and communicating between two professional franchises and the national setup. Brady now works solely with professional players between Benetton Rugby, Zebre Rugby, and the national team. But how different is it compared to what he was used to in regards attitude and facilities? 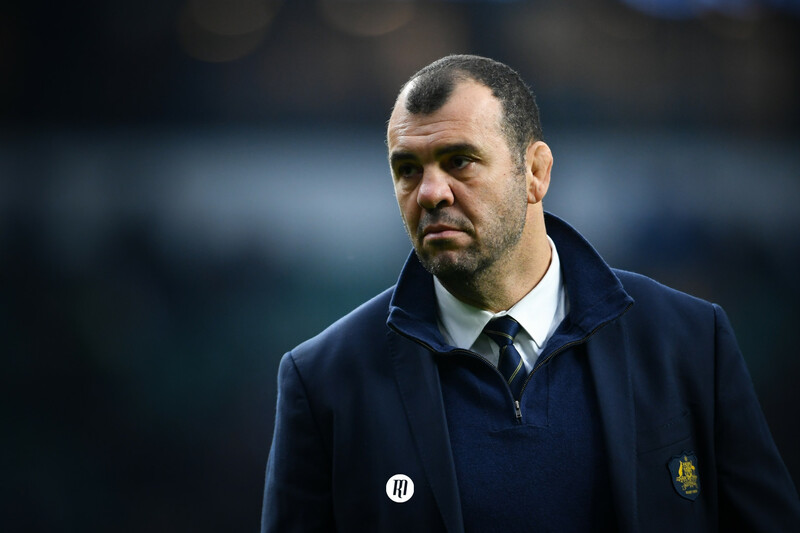 “Facilities-wise, Benetton have an excellent set up now, while Zebre still have some steps to take which should come in the not too distant future. But facilities are only as good as the coaches put in place to use them. There are some excellent facilities in Ireland, whether it be GAA or rugby, that they aren’t being used effectively. At the same time, you’ve got some ropey enough facilities, but containing top-class coaches who can make the most of what they have. “Regarding the player’s themselves, you get an appreciation of what it takes to be a professional in an environment such as this. Players’ understand their body, they know when to push and they know when to pull back. They will communicate effectively with the support staff, whether it be regarding tactics, a bad sleep, or an exercise selection in their gym programme. “Like any workplace, disregarding rugby ability, there are people who are better and worse at their jobs. I’m referring to a recent interview with Ronan O’Gara where he mentioned that players in the Crusaders must “want it”. There is a difference between saying you want it, even thinking you want it, to actually doing everything within your power to get it. “In my time here, I’ve noticed the guys who will do absolutely everything in training and more importantly the other 20 hours of the day to achieve. In all walks of life, I believe it’s the same. We say we want things but if we take a step back and analyze our day-to-day and week-to-week lives, do our actions reflect our thoughts and plans? For a team to build a winning culture you need to have not just the staff, not just players, not even just the support staff, but the whole organization have to be willing to do the extra to achieve. “Vogliamo vincere” are the words that echoed out of Conor O Shea’s mouth in a recent interview. “We want to win”. We have some very talented young players at our disposal, and an ever-improving franchise setup, so we are hoping to convert this to results on the international stage. 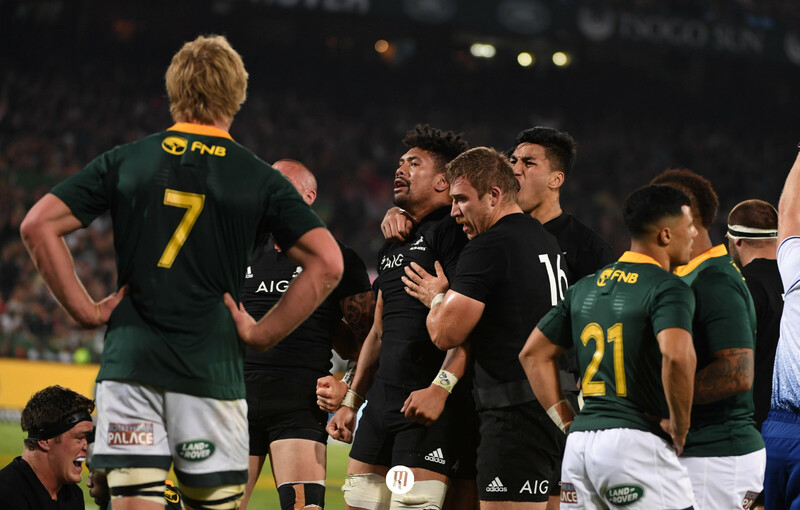 With the way the fixtures panned out, we played teams ranked number 1, 2, and 7 in the November internationals (New Zealand, Ireland and Australia) along with Georgia (13th). “They were always going to be difficult games, but the most important game of that period was the Georgia game. With Georgia improving so much, they presented an argument that they should be added to the 6 Nations at our expense, which made this a game of vital importance. Thankfully we performed well in that game and won quite comfortably. Hopefully we can take positive steps in the next year and be in a better place by World Cup time. “We want to close the gap between ourselves and the top 8 teams in the world, on and off the field. Improving players’ effectiveness on the field through increased power, speed, strength, agility and their capacity to maintain this for 80 minutes will be the means we need to go about this. Given Brady’s past successes, it’s a challenge well within his abilities. This article originally appeared on The Loose Head.